Description: Timeless beauty in almost no time at all. The Caspian Collection featuring LOCnGO. 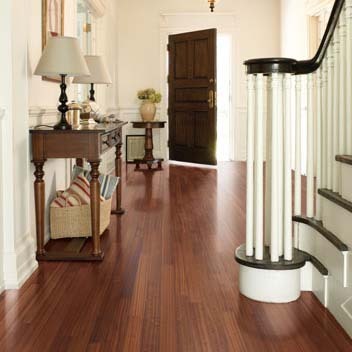 Ideal for remodeling and new construction, Caspian installs nearly twice as fast as conventional hardwood flooring, and does it without glue or nails. From traditional Oak, Hickory and Cherry to exotics like Sapele and Brazilian Cherry, Caspian offers timeless beauty in no time at all.